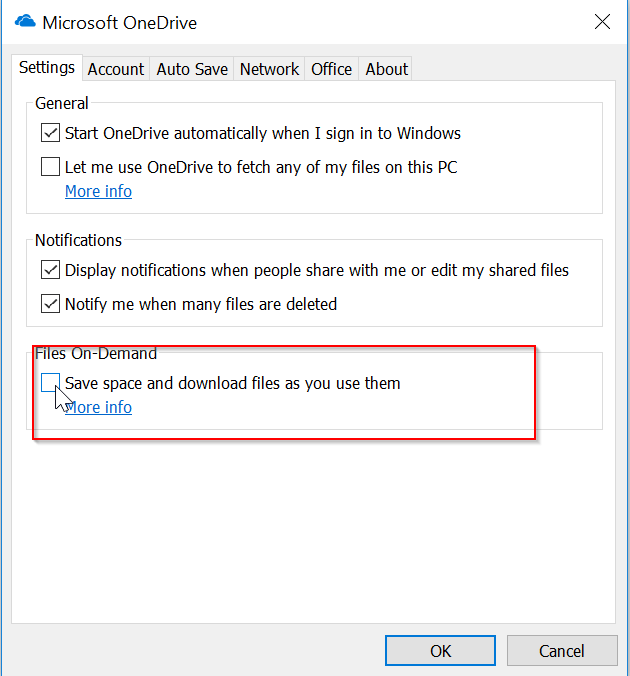 As Windows 10 OS comes with installed OneDrive online storage application. There comes a popup in PC which says to backup all your system files, and when you click Ok on it. It’ll back up all your files to OneDrive. And then afterwords if you want to delete a file on your PC. You’ll see below popup warning message. Deleting an online-only file permanently removes it from your PC without sending it to the Recycle Bin. Are you sure you want to continue? This means if you click on Yes, file will be gone forever. Which you may not expect to happen at times. You may be wondering about this thing, what made this to happen on your PC. The only reason is OneDrive default setting. It has a default setting to keep all your files only on online storage. Here I want to give details about how to disable that setting and allow you keep deleted file in RecycleBin until you decide to delete it from there later time. 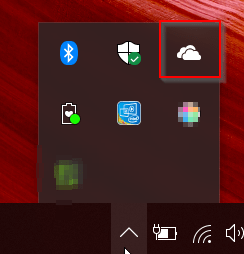 You can see OneDrive app, in taskbar hidden icons on right side. 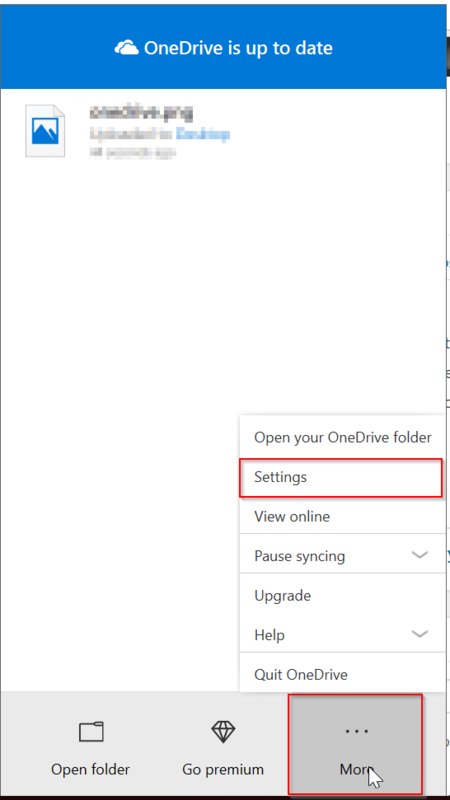 Click on the OneDrive icon. You’ll see a window pops up. In that click on More button, It’ll show a menu. In that menu Click on Settings. As shown below image. Now you can see deleted file will go to Recycle bin. Hope this helps somebody.